Discworld lives on in Unseen Academicals, the latest novel from Terry Pratchett. 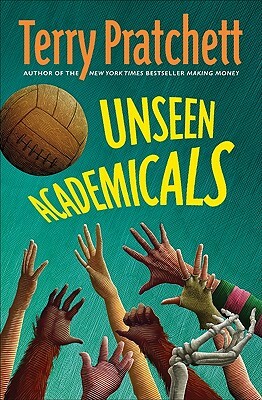 Delivering the trademark insight and humor readers the world over have come to expect from "the purely funniest English writer since Wodehouse" (Washington Post Book World), Unseen Academicals focuses on the wizards at Ankh-Morpork's Unseen University, who are reknowned for many things--sagacity, magic, and their love of teatime--as they attempt to conquer athletics. “At its heart, this is an intelligent, cheeky love letter to football, its fans and the unifying power of sports.